The JioMoney wallet covers all the fundamentals one expects from a mobile wallet, such as recharge, bill payment and the option to look for coupons. Mobile transactions are made a lot easier with the right mobile wallet. They allow you to send money to a friend’s account, recharge a prepaid mobile connection and also pay bills. 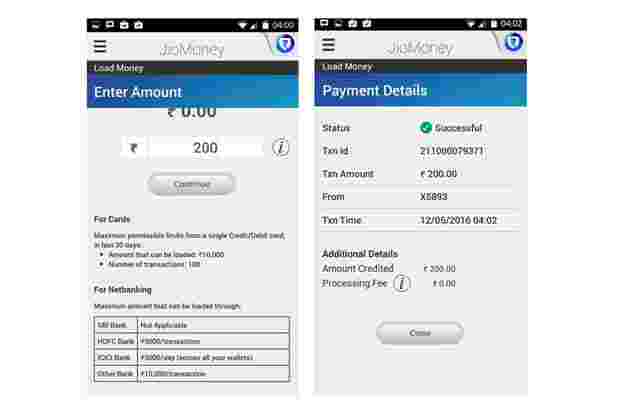 Reliance Jio has released a mobile wallet app called JioMoney wallet, on the Google Play Store and the Apple App Store. We took a look at this new mobile wallet to see how it compares with established rivals such as Paytm and Oxigen. Setting up an account in a mobile wallet is often not very easy. JioMoney wallet, like most wallets asks for a user name, age and a unique password. It also asks the user to create a four-digit PIN (personal identification number), which can be used as a secondary password to quickly log in to the wallet. While this enhances the security aspect, it means the users have to remember more codes to be able to access their account. Oxigen is similar, requiring a six-digit PIN to log in every time. Paytm, instead, allows you to sign up with a username and password, and also does not automatically sign you out every time you close the app. Between the three, Paytm has an edge when it comes to instant access. JioMoney Wallet has a simple interface but all the elements which matter are visible at once to the users. For instance, your wallet balance, the option to recharge, send/request money, pay at shop are present on the main page itself. In terms of simplicity, Paytm comes close to it, but doesn’t have as many features on the wallet app. The homepage just shows the option to send, request and add money. Paytm also has a separate app for shopping, booking tickets and bill payments. So to get all the benefits of the Paytm wallet, you have to download two apps. Oxigen has the liveliest looking interface with a banner on special schemes running on top, followed by the options that are available. You can send or ask for money pay bills and get recharges. The JioMoney wallet covers all the fundamentals one expects from a mobile wallet, such as recharge, bill payment and the option to look for coupons. But when it comes to offering additional features, the likes of Paytm and Oxigen have an edge over it. While in Paytm, the option shop is available on the secondary app, in case of Oxigen, the user can shop from 30 shopping and services providers such as Indiatimes, eBay.in and MakeMyTrip from within their wallet app. When we tried a prepaid mobile recharge of an MTNL prepaid mobile number on JioMoney, it detected the operator right away but didn’t show a page where one can see and compare all the talktime recharge and data plans. It did it for an Aircel number, though, and this feature needs to be improved across all operators. The Oxigen wallet shows all the options under multiple categories. The recharge feature, available in the shopping app, also showed all the plans neatly arranged under different categories. 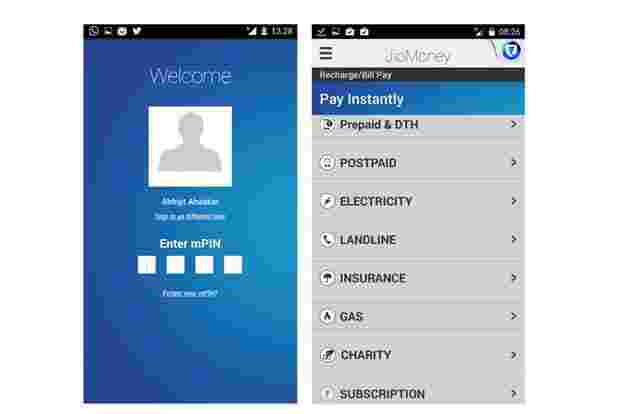 In terms of options, JioMoney has a wider reach as it allows you to pay bill of utilities, including five gas service suppliers, while Paytm allows payments to only three and Oxigen covers only one. Also, JioMoney allows you to pay for subscriptions to magazines. As of now it only covers India Today and Reader’s Digest. This is a close call as each service has some interesting feature but none is far from perfect. In terms of inconsistencies in terms of performance, we found the Oxigen wallet to be a bit annoying, as it crashed at times and logged us out of the account from time to time. In terms of the number of features, Paytm is currently the leader among the three. But the fact that JioMoney wallet is also focusing on extras, such as utility bill payments, could be an indicator that it’ll have a much diverse service offering in the future.